We saw the first leaked images of the Nokia phone and its penta-lens setup back in September. Judging from the press render tweeted by ever-reliable leaker Evan Blass, they were quite accurate. 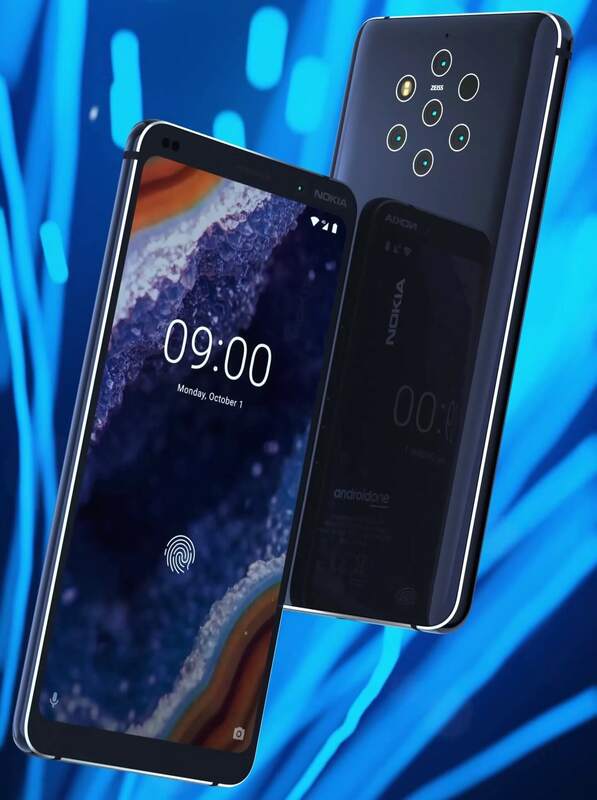 The Nokia 9 PureView will have hexagonally arranged cameras powered by Zeiss. There’s also an LED flash and another sensor within the array. Additionally, MySmartPrice has a promo video of the phone. It describes being able to capture five shots simultaneously and allows ten times more light to be captured compared to “a regular smartphone camera.” It’s also possible to re-focus an image and access depth-of-field controls using the Google Photos app. Specs wise, the Nokia 9 has a 5.99-inch 18:9 QHD OLED display. As it will be part of the Android One program, expect the phone to come with Android 9 Pie and boast fast upgrades to future versions of the OS when they release. In addition to the in-screen fingerprint reader, the Nokia 9 has 6GB of RAM, a 4,150mAh battery, and 128GB of internal storage. It’s powered by the Snapdragon 845, rather than Qualcomm’s upcoming 855 SoC flagship, and might support wireless charging—a first for Nokia. No official word on the release date, but rumors suggest it will be unveiled at the end January and go on sale around one month later. Nokia has always seemed pretty affordable. I doubt this will be "iPhone X expensive." Nokia seems to have reasonably priced phones. My Nokia 8 only set me back £220. I just hope the WiFi in the new Nokia isn't as terrible. Yeah 5 cameras will make the selfie and group pic better, yep of course! Damn, with the S855 SoC this would be near the top of my list. Oh well, OnePlus 7 is surely only 4 months away.